GIIT Professional College, affiliated to KOLHAN UNIVERSITY and approved by Dept. of HRD, Govt of Jharkhand, is imparting graduation level programmes in IT, Management and Commerce. GIIT Professional College is first initiative of Genius Intellectuals Initiative Trust (GIIT) established in 2012 by the group of Professionals having 18 years of proven experience in running graduation and post-graduation Education in IT and Management. 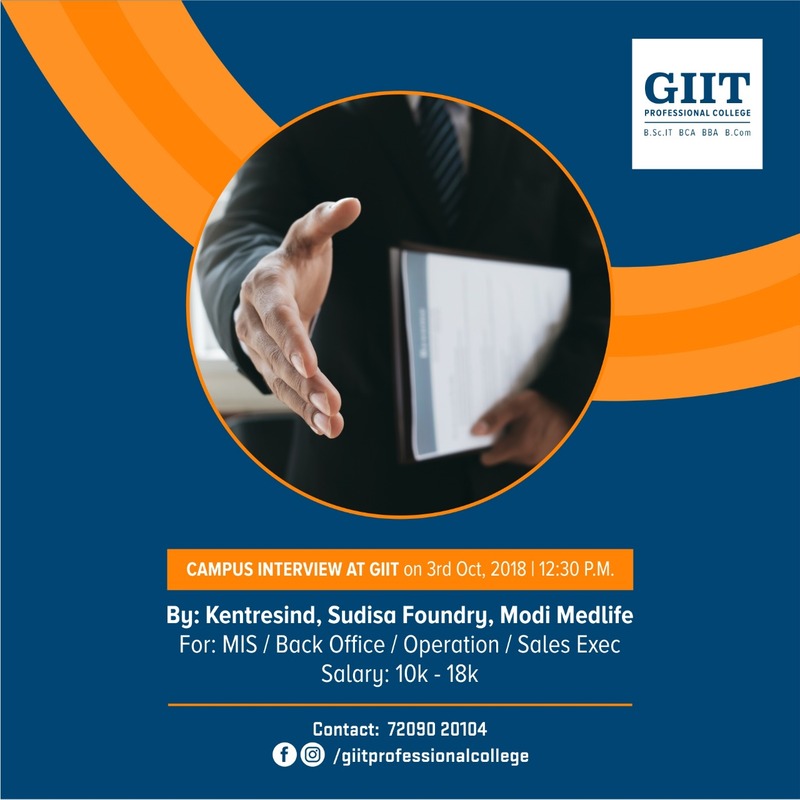 During the glorious evolving paths GIIT has a set a benchmark in providing Quality education and training, Academic Excellence and Organising very high numbers of campus placement Interviews and employments to its students. To get employment after graduation is the biggest problem for the students. To resolve this issue, GIIT Professional College has come out with JOB READY GRADUATION in B.Sc.IT/ BBA/B.Com, a unique way to develop a competent and capable workforce. JOB READY GRADUATION combines University Syllabus with preparation for competitive examinations, skills development training, extensive practical exposures, events, projects and many more competency enhancing inputs to transform Text-Book-Learning to Work-Based-Learning enabling the students to distinguish themselves with other and getting distinct advantages in grabbing the job opportunities. Today, private sector jobs demand skilled manpower who are competent and capable to provide effective services and resolve their burning problems. Thus, students who have only syllabus based knowledge find difficult to meet requirements of private sectors. GIIT's Job Ready Graduation provides add–on–modules for skills development and nurture professional abilities of students to meet private sector requirements. The public sector jobs on the other hand are bagged through various competitive examinations that requires quantitative aptitude, reasoning, verbal ability, general knowledge etc. To solve each question a student gets only 35 seconds of time. Thus, only a syllabus oriented education is not sufficient to help in finding a good government job. GIIT provides thorough preparation for competitive examinations along with university based syllabus. GIIT Professional College has adopted 3600 Educational model, under which students are taught in Technology enabled classrooms with the help of latest audio and video tools by experienced and well qualified facilities. Students are given well designed assignments to develop proper understanding on the topic taught in the classes. GIIT provides thorough practical exposures in State-of-Art lab assisted by capable lab faculties. Every year, students get chance to participate in presentation, workshops, events and interview, which develops professional abilities like time management, team spirits, problem solving abilities, leadership qualities and communication skills. GIIT Professional College has designed a no. of events like SPANDAN, PRAYAS, DAKSH, GYAN, PRERNA, UDAN, ACADEMIC EXCELLENCE PROGRAM etc. to nurture professional attitudes and aptitudes. 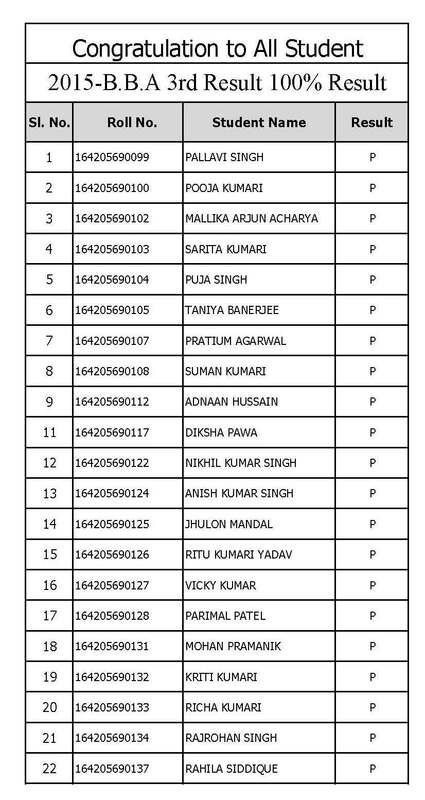 Now, Parents need not send their wards for graduation courses outside the Jamshedpur spending huge money, instead can enrol their wards at GIIT Professional College for strong foundation, better future and getting opportunity 20-30 campus interview to each students every year. Copyright © 2017 GIIT Professional College. All Rights Reserved.